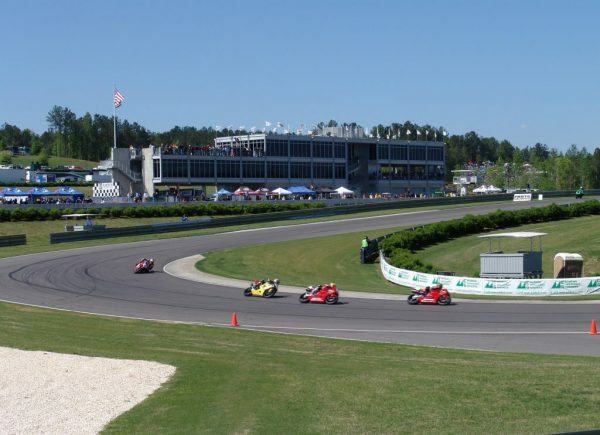 The Barber Motorsports Park is an 880 acre, multi-purpose racing facility located on the eastern fringes of Birmingham, Alabama. It was built by George Barber and includes the Barber Vintage Motorsport Museum, which has been named “World’s Largest Motorcycle Museum” by the Guinness World Records. The museum is a 501(c)(3) Not-for-Profit Foundation and is considered the largest philanthropic project taken on by an individual in the history of Alabama. The Park, which opened in 2003, has a 17-turn, 2.38-mile (3.83 km) road course, designed by Alan Wilson, viewable from several naturally wooded or grass-covered banks. The track is designed to be run clockwise. The layout is compact, with a number of elevation changes. The pit lane is to the outside of the track, parallel to the front stretch, and the pit wall is on the driver’s left. Two cutoff turns, which are barricaded when not in use, allow the track to be shortened for club events or testing sessions. An entryway between Turns 8 and 9 provides access to the museum garages. A tunnel underneath the track at Turn 12 allows emergency and maintenance vehicles access to the infield area. The track is unusual in having no general-access spectator seating at the start/finish line. The area outside of the front stretch, bounded by the track on three sides, is occupied by the multi-level Paddock building. This building along the front stretch, between start/finish and Turn 1, houses a media center, race control area, track offices, garages, and some VIP viewing areas. The main spectator area is along the back stretch, between Turns 8 and 11. Spectators can watch from embankments or from temporary grandstands erected for race weekends. From this area, most of the course, except for Turns 2/3 and Turn 13, is visible. A food and souvenir vending area is located behind the grandstands in the vicinity of Turns 9/10. Additional spectator areas are outside of Turns 2/3 and Turn 14. There is generally no spectator access to the infield. An RV Park and camping area is located atop a hill behind the Paddock. 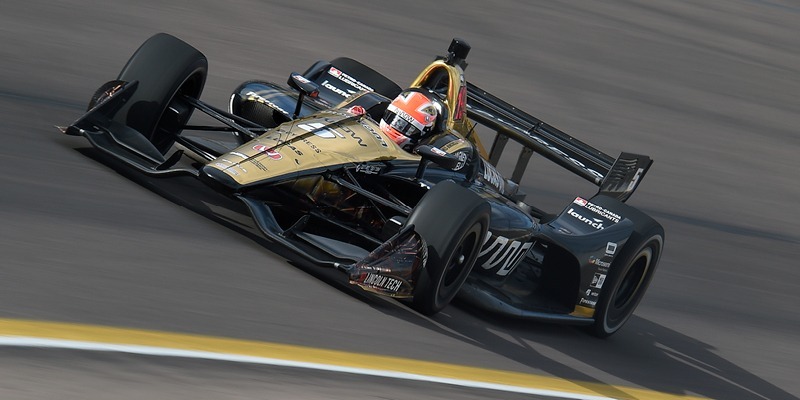 The track has hosted numerous motorsport races including Grand-Am, Pirelli World Challenge, Vintage Racing Series events, AMA SuperBike and the Verizon IndyCar Series. 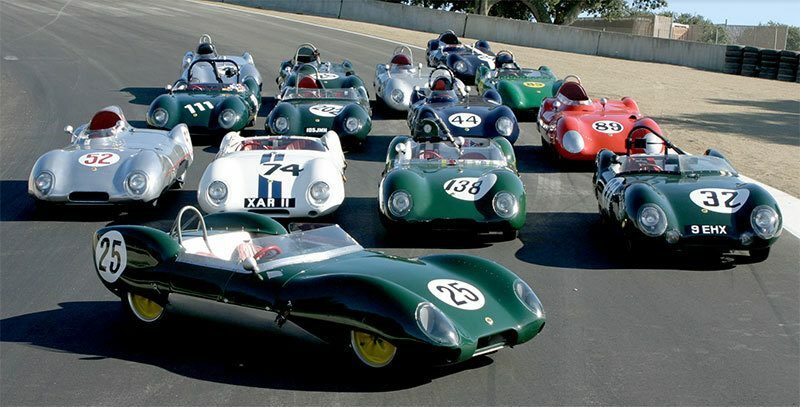 It serves as the home of the North American Porsche Driving School, along with various track day events. 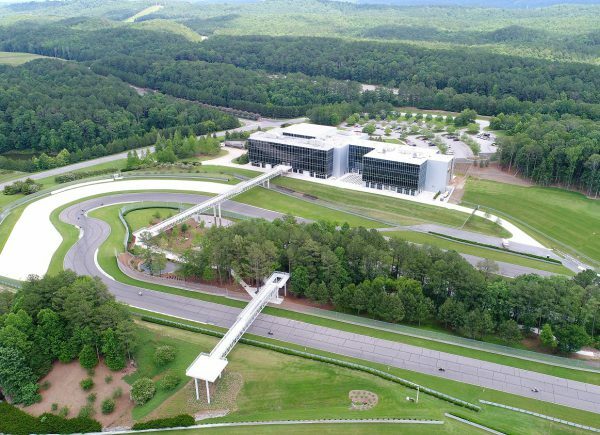 It is also home to the newly-built “Barber Proving Grounds”, which includes a new track area and wet/dry skidpad that will accommodate additional events while the existing track is in use. For example, Mercedes-Benz hosts the Mercedes Brand Immersion Experience for its employees at the Proving Grounds, and others use the grounds to test and demonstrate vehicle capabilities, host product debuts, and provide safety instruction. Barber is noted for its landscaping and greenery; the track has been referred to as “The Augusta National of Motorsports”.